This Casserole Will Make EVERYONE Happy! Would You Pick One Or Make a Combination Of All 3 Of Them? It’s always the same thing for me when it comes to holiday meals. I start planning really early, to make sure there is no last minute panic. But then I simply find way too many great recipes and I start rethinking my choices. After about 3 weeks of hopping back and forth between ten different recipes, my husband picks one for me. I know, it’s sad! But this year I don’t have to rethink anything. This sweet potato casserole recipe that I found on Recipes For Our Daily Bread is brilliant. 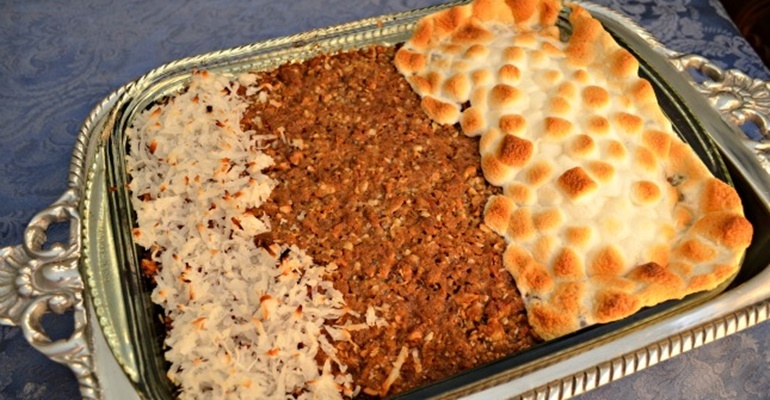 Basically, you get an awesome sweet potato casserole with three topping options in one! We all have that favorite topping we like better than others, so now you can make something for everyone. I actually can’t believe I hadn’t thought of this myself. This is great for anyone like me, who are having a hard time deciding what to serve at Christmas dinner! Recipe and image courtesy of Recipes For Our Daily Bread. Quick Tip: The basic topping in the recipe is delicious, as is, even if you don’t want to add the extras!